I'm sure you guys know by now that I can't wait to get out into the real world. I know, many of you will say that I'll regret that statement as soon as I graduate, but I can't wait to start working and get out of the classroom. One of the things I'm most excited for is the wardrobe (I swear I'm not shallow, I just really love clothes). 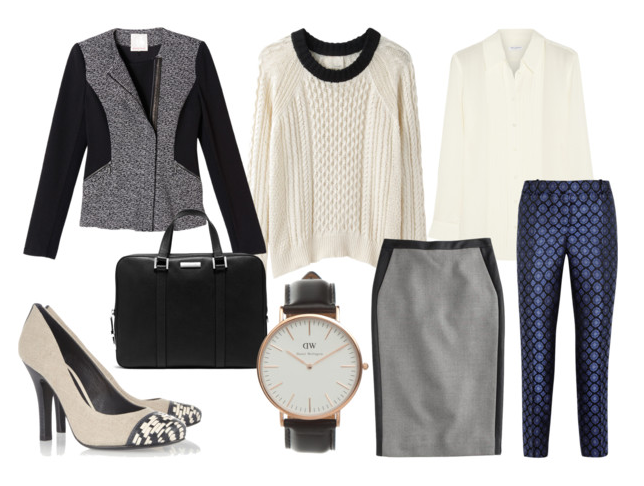 I've always been one to overdress, and I really can't stand many college student's way-too-laid-back wardrobes; so the pumps, slacks and blouses of business life kind of just come natural to me. If I had the choice, I'd choose a sweater, statement necklace, capri pants + pumps or a classic pencil skirt, blouse + blazer combo.